Tasneem Ahmar is the Director of theUks Research Centre, a media advocacy and monitoring organization in Islamabad, Pakistan. Ms. Ahmar is also the Executive Producer for Meri Awaz Sunno (Hear my Voice), a rights-based, all female radio programme. 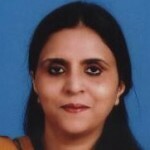 Ms. Ahmar began her career as a desk journalist at The Muslim, an English language daily in Pakistan. She has worked at the Dawn Group of newspapers and has held posts such as Research Associate-Women’s Study Centre, Quaid-e-Azam University, Pakistan and Assistant Professor, Mass Communication department, Karachi University, Pakistan. A freelance journalist since 1986, Ms. Ahmar’s cover story on violence against women titled “Trial by Fire” was published in an English language monthly The Herald (September 1995) and presented at the 1995 Beijing Conference. She has authored several research papers, and participated in many international and regional seminars, workshops, and conferences on issues around women, development and media. She has edited media studies and media guides on issues ranging from violence against women, HIV and AIDS to gender sensitivity in the media. Ms. Ahmar holds Masters Degrees in Communication (1989) from the University of Hawaii and Mass Communication (1978) from the University of Karachi, Pakistan. Recipient of the 1998 Mary Morgan Hewett Award of Excellence in Feature Writing, Ms. Ahmar will receive the Leadership in Media Award from Internews-USA in June 2009.